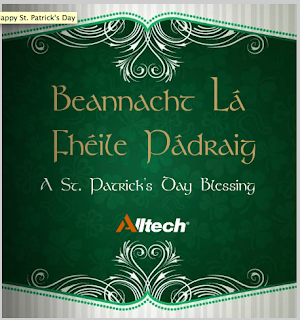 WEG Central: Happy St. Patrick's Day From Alltech! Happy St. Patrick's Day From Alltech! Alltech® has sent everyone a beautiful St. Patrick's Day Greeting. Turn up your speakers and click this link. Happy St. Patrick's Day from WEG Central too!